Do you have an inventor hiding in your family tree? The only way to be sure is to search the massive online patent database created by Google. Since access is free, there is no good reason not to spend a few minutes looking for your family members. Even if you have no knowledge of any inventors in your family, the ease at which this massive database can be searched certainly qualifies it as “low hanging fruit” for genealogists. The Google Patents service, launched in 2006, makes available more than 87 million granted patents and patent applications from numerous sources around the globe. The patent database can be searched at http://www.google.com/patents or by using the advanced search at http://www.google.com/advanced_patent_search. One issue with Google Patents is that their database was populated by using optical character recognition technology to translate document images into searchable text. Sometimes, errors were introduced during translation. Considering the overwhelmingly massive task of digitizing mountains of patent documents, this is just a minor inconvenience for the end user. To my surprise, when I searched Google Patents for my Hoesl family members, I ran across a patent submitted in 1964 by my uncle Gerald. 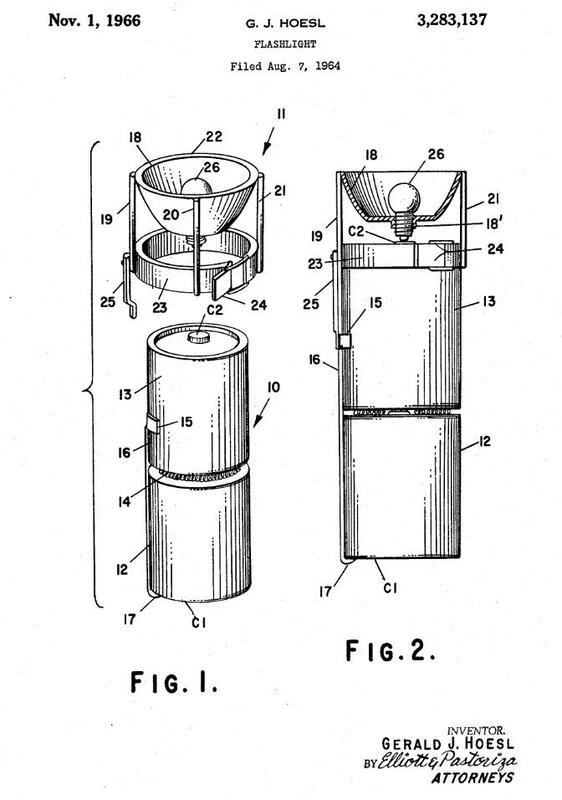 The patent concerned a novel design for a flashlight that eliminated the elongated casing that normally supports the batteries and serves as a handle. The new design, which uses an armature to support the batteries, was thought to reduce the cost of manufacturing the flashlight significantly. My guess is that flashlights of 1960’s vintage had handles constructed of metal with a threaded end to receive the bulb assembly. Savings in manufacturing costs was likely a real concern in those days, but with today’s inexpensive injection molded plastics, flashlights are so cheap now that they can be purchased in dollar stores. This fact in no way dampens the enthusiasm I felt in discovering his patent. 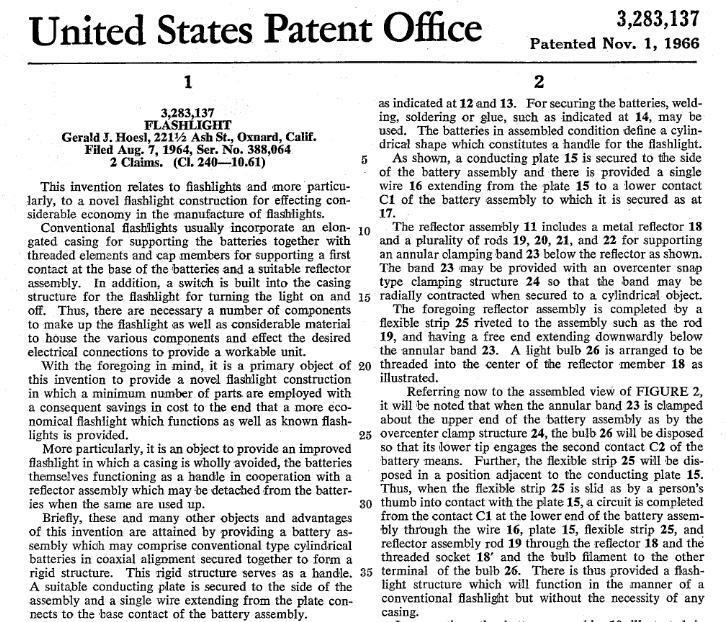 I can only assume that this patent meant a lot to my uncle considering the labor required to capture his idea and the expense of employing a patent attorney to help push his patent though the several-year long approval process. Google Patents is a must stop for any family researcher. In a matter of minutes, you can do a name search for each of your ancestors. You just never know when you will strike gold with a minimal time investment. 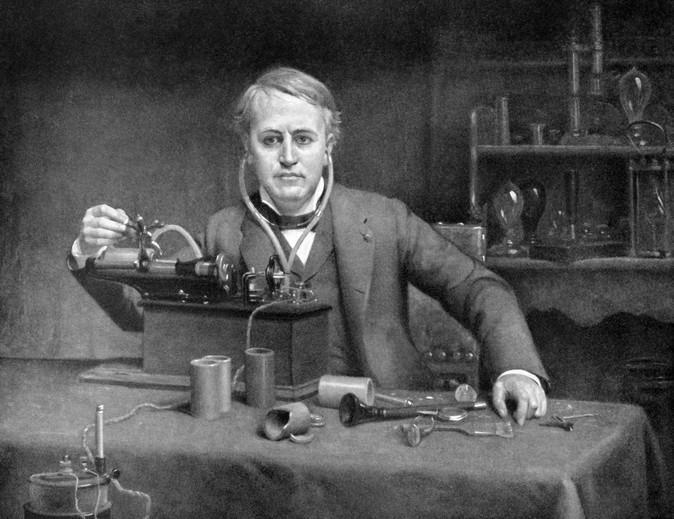 You owe it to yourself to make sure that no inventors in your family go unrecognized. Just think of the great story you will have to share at the family Thanksgiving table this year!